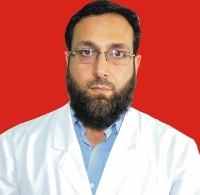 The Department of Paediatric Surgery at SKIMS is the only super-specialty department of its type in the State of Jammu & Kashmir. The faculty and the staff is specially trained and experienced in the management of all sorts of congenital anomalies in children and neonates viz. oesophageal artresias with/without tracheo-oesophageal fistulae, all forms of anorectal malformations, intestinal artresias, malrotations and Hirschsprung`s disease. Biliary artresias, choledochal cysts and portal hypertension. Malformations of the lungs, chest wall and abdomen, hydrocephalus, encephaloceles, meningomyloceles, and other related deformities. The department is managing paediatric urologic problems hydronephrosis, posterior urethral valves, dysplastic and multi-cystic kidneys, obstructive mega-ureters and vesico ureteric reflux. Exostrophy of bladder, epispadias and hypospadias in addition to common anomalies viz. various kinds of hernias, hydroceles, undescended tests. The department is also dealing with paediatric tumours of all varieties-neuroblastomas, Wilm`s tumour, sacrococygeal teratomas, lymphomas, rhabdomyosarcomas etc. in neonates and children of all age, in conjunction with Medical Oncology and Department of Radio-therapy. The department has vast experience in managing paediatric trauma including road traffic accidents, bullet and missile injuries due to the prevailing turmoil. Several research projects on paediatric surgery problems have been already carried out and many on going projects have been given to postgraduate students who are working under the guidance of the faculty of the department- many of which have already been published in national and international journals of repute. The faculty is also partaking in clinical and theoretical teaching of common paediatric surgical problems to undergraduates, postgraduates and residents of the surgical department of the Institute. Life Member Indian Association of Pediatric Surgeons (IAPS). Life Member Pediatric Urology Chapter of IAPS. Life Member Pediatric Endoscopic Surgeons of India (PESI). Life Member Association of Surgeons of India (ASI) . Clinical Study of Hepatobilliary Diseases. Prohefetiation Study in Solid Tumours. Ascandrial & Hydatid Complications in Children. Gene Theory in Solid Abdominal Tumours. Postgraduate guide for the last 18 Years. Graduate & Postgraduate External & Internal Examiner. Life Member Indian Association of Pediatric Surgeons. Life Member Pediatric Urology Chapter of IAPS (PUC - IAPS). Life Member Pediatric Endoscopic Surgeons of India (PESI) Chapter of IAPS. Role of tunica vaginalis flap inhypospdia repair.